Water Rose for Beauty, Why not! - Story Citra Water Rose for Beauty, Why not! Water Rose for Beauty, Why not! Today, Citra wants to tell you story about how to get skin care without spend a lot of money. You can do it at home! I know everybody is beauty in their own ways; the most important is not about what is brand makeup do you use to make you feel, and look pretty. The most is something for your inside, but it does not mean you should not care your skin. Many DIY you can try to get great treatment at home. I have something nice “weapon” to make me feel fresh without on trouble. Do you want to know, what is my weapon for simple treatment at home? It call water rose! This water rose has a lot of benefits for skincare. I bet you do not believe me! I know that, because I also do not know benefit of rose water. I just used it to make masker, I put face powder mask with the rose water, and then apply it in my face. It’s making my face feel cold, and nice. I learn about what is rose water can be used for the treatment. 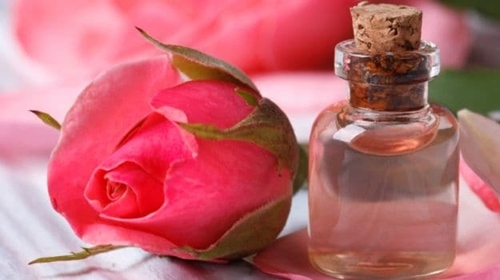 Do you wonder why this rose water good for our skin? I will tell you rose water has anti-inflammatory properties and rich content of antioxidants. So, the rose water can helps to keep moisturized our skin. This is my best experience using rose water for my skin; I choose Viva rose water and I buy on here http://bit.ly/Vivacos. I can use rose water as a toner. It simple before using rose water such as face toner; I should clean my face first with the water and face soap. After cleaning it, I take cotton pad and making it wet with rose water. I am using it every day and benefit for do this simple treatment to help tighten the pores and gently tone the skin. This time, Tanjungpinang is very hot! So, I am making something to make my face skin keep cold without brother wash my face with water; because it will make skin fast to dry and less Ph for my skin. So, I am trying to make my own water. It simple, I use 30 ml rose water of Viva and aloe vera gel. I mix them ingredients which I shake them inside the spray bottle. I put it in the refrigerator and use it whatever I feel very hot to make my skin feel cold. So this is my secret to keep calm even in the hot weather, If you think my article about the benefit and little recipe using the rose water is useful. Would you share it to your social media and tell your friends? Share is caring to other people. Anyway, what is your secret weapon using the rose water for simple treatment? 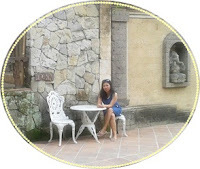 Perhaps, it will be great to comment below my article and I will visit you back if you give me the link to your homepage. Have great day. The natural product like a rose water maybe goodness for skins. Kak Citra like a blowing after used the product hehey..
Iya mba, air mawar sangat baik untuk regenerasi kulit..
Hmmm, Maybe I want to try use coffee for this. It looks good. Eh, yang ini masih ada sampai sekarang ya kak? This is recommended and must-have item. It is indeed useful for skin care. Last time I also used this product but, I didn't use regurally so until expired date it has not run out.